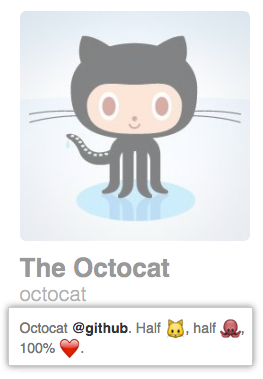 Add a bio to your profile to share information about yourself with other GitHub users. With the help of @mention's and emoji, you can include information about where you currently or have previously worked, what type of work you do, or even what kind of coffee you drink. Tip: When you @mention an organization, only those that you're a member of will autocomplete. 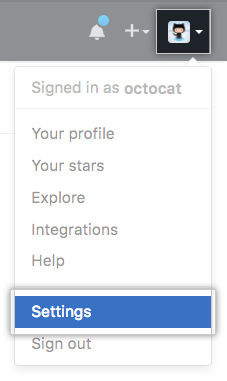 You can still @mention organizations that you're not a member of, like a previous employer, but the organization name won't autocomplete for you.